So all your bags are packed and you’re now ready to go somewhere peaceful, private, and relaxing. Problem is, that kind of place is a rarity nowadays. You mention “vacation spot” and people will immediately think of Boracay, Puerto Galera, and Pagudpud. Yes, they can still be great places to unwind but if you prefer solitude, there are other less popular places that can give you just that. 1. Tinipak River (Tanay, Rizal). 2. Jomalig Island (Quezon Province). 5. Quezon Beach (Patikul, Sulu). 7. Balot Island (Sultan Kudarat). 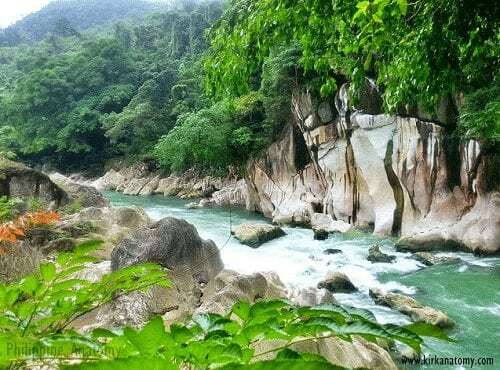 Tinipak River, a hidden paradise in Brgy. Daraitan in Tanay, Rizal, was awarded as the cleanest inland body of water in Region IV. Reaching this destination requires patience and endurance in trekking giant trails of rock, making Tinipak River a perfect getaway for those who love outdoor adventure. From giant boulders to tranquil and cool river water, this place has everything you need to enjoy an adrenaline-filled weekend. 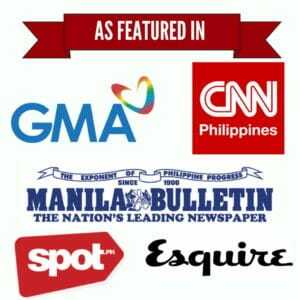 Jomalig is a lesser-known island municipality in Quezon Province. It boasts of gold and white beaches, the reason why many backpackers call it a desert paradise in the middle of the ocean. 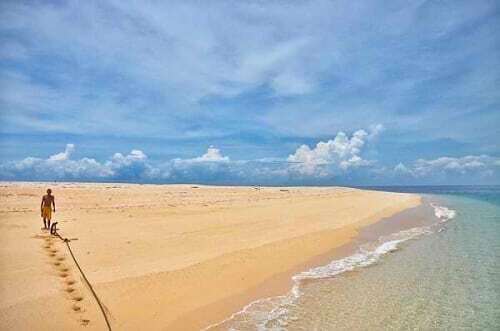 Feast your eyes on its two breathtaking beaches: The Kanaway Beach on the east side facing the Pacific Ocean, and the Salibungot Beach on the west facing Lamon Bay. Enjoy a gastronomic adventure by tasting some of the exotic seafood the island offers: Lobster, shrimps, crab, and the fish called surahan, considered by people in Pollilo Islands as the world’s most delicious. Seco Island’s tip of the sandbar and the beach lagoon. Photo Credit: Flord Nicson Calawag of Katahum Tours. 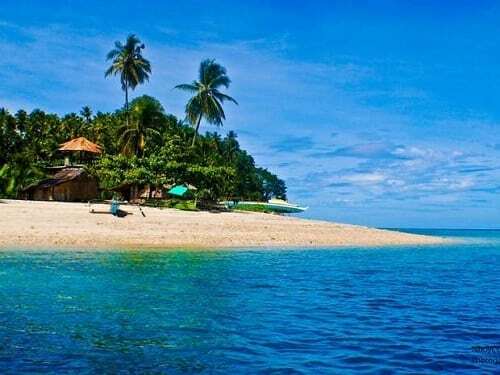 The Seco Island is a serene and uninhabited island located about 50 km west of Panay. It’s basically an island made of white sand stretching 1.5 kilometers in the middle of the ocean. The island paradise was named after the Kinaray-a word for “elbow” due to its shape. Named as one of the best kiteboarding spots in the Philippines, Seco Island is also the ideal place for those into camping and even as simple as soul-searching. Corcuera is a virgin island municipality in Romblon and home to white sand beaches that could rival Boracay’s. Locals still refer to it as Simara, the island’s old name when it was still part of Banton town. It was later renamed in 1931 to honor Spanish Governor General Hurtado de Corcuera who ruled the country from 1635 to 1644. 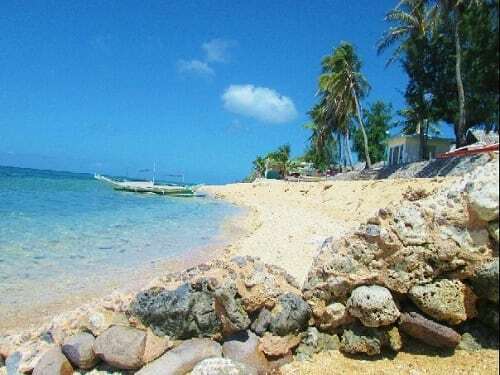 Swimmers will surely enjoy the seashores in barangays Poblacion, Ambulung, Tacasan, Colong-Colong, Mangansag and Alegria. You can also visit other tourist attractions such as caves filled with stunning stalagmites and stalactites. 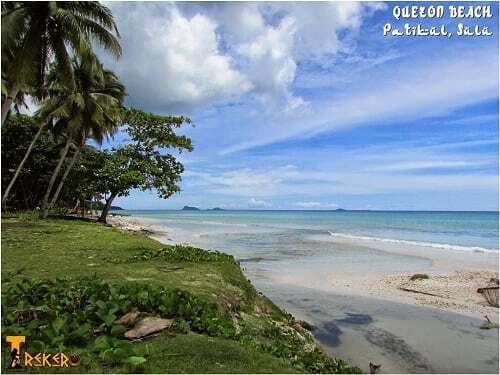 Quezon Beach in Patikul, Sulu is a non-commercialized tourist destination known for its fine sand and crystal-clear waters. It is considered as one of the best beaches in the country–some even say its better than the world-renowned Boracay. Calayan is an island in Cagayan located 60 km north of Luzon in the Babuyan Channel. It is the seat of the municipality of a town of the same name which is also comprised of Camiguin, Dalupiri and Babuyan Claro. Together, they make up four of the five islands (the fifth being Fuga Island of the Aparri municipality) of the Babuyan Islands. Also Read: Why was “Babuyan Islands” named as such? 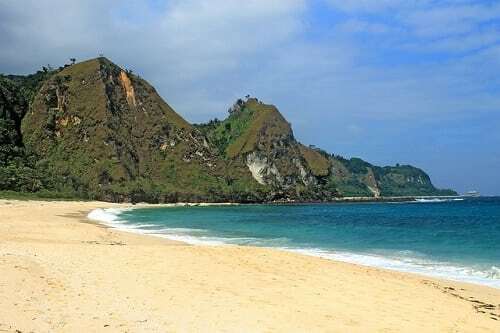 Thanks to its remote location, Calayan Island is said to be as stunning as the nearby Batanes province. It boasts of white sand beaches, thick rainforests, and coves among others. Calayan Island is also home to Calayan rail, an endemic species of bird locally known as piding. Balot Island may be a less popular choice for family vacations, but that doesn’t mean it can’t compete with other highly commercialized beaches in the country. One of the six islets in Kalamansig in Sultan Kudarat, Balot Island has all the components of a perfect summer getaway: It has white sand, stunning rock formations, and clear blue sea water showcasing amazing coral reefs. 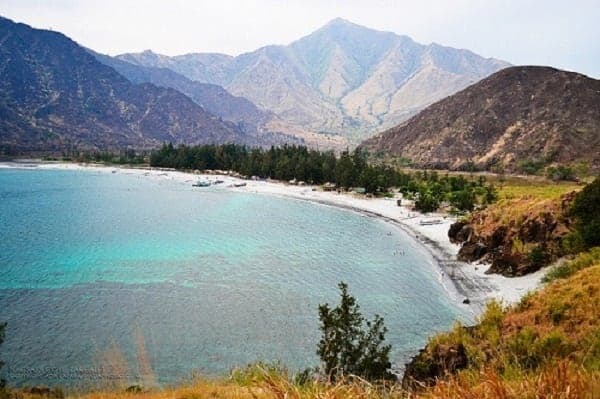 If you’re looking for an untouched and uninhabited paradise near Manila, the Nagsasa Cove in Zambales should definitely top your list. Located in San Antonio, it’s one of the three coves in the area–the other two namely Anawangin and Capones.